There was a time, not too long ago, when it was not uncommon to see people carrying 7-inch tablets around as their primary phones. As ridiculous as it looked, it was a trend that caught on and we have Samsung's affordable Tab series to thank (or blame) for that. 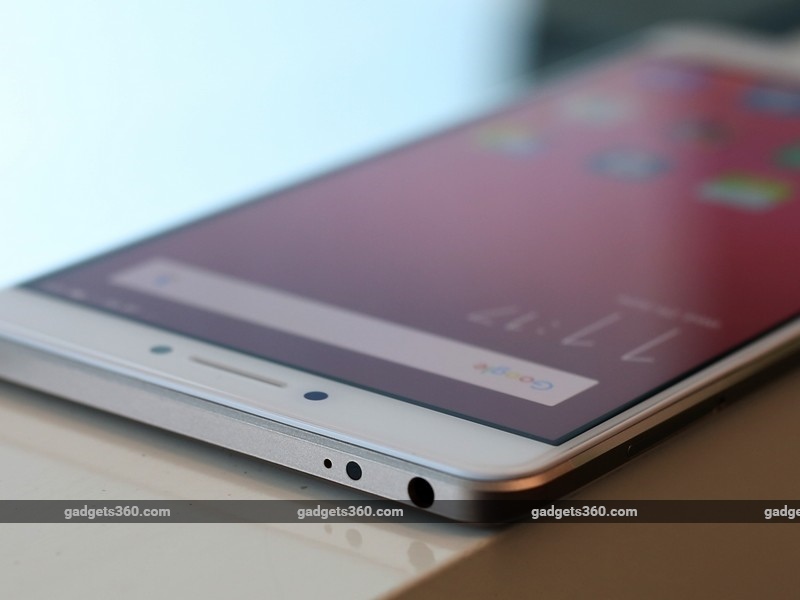 Last year, we witnessed Lenovo attempting to get in on that action with the Phab Plus (Review), and today, we have Xiaomi taking a stab at this niche market with the Mi Max. 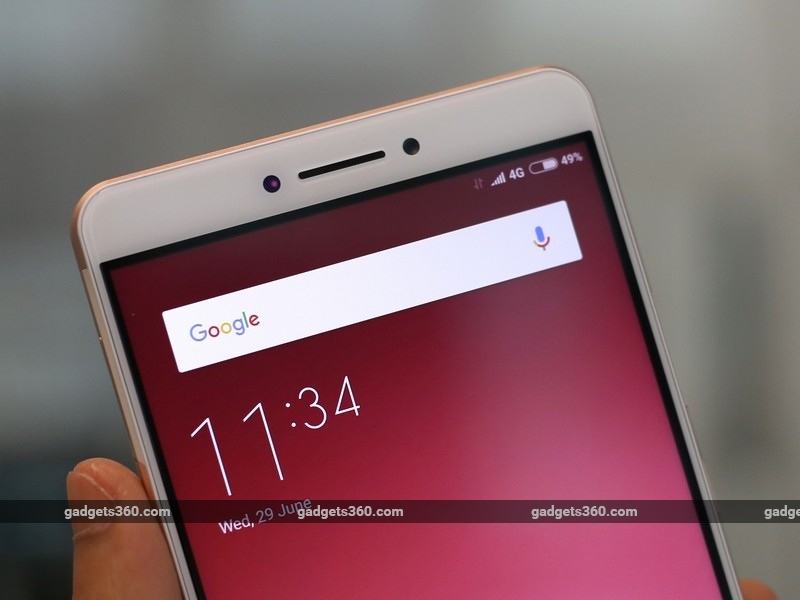 Just like Lenovo's offering, the Mi Max focuses purely on content consumption (and perhaps a bit of creation too), be it videos, games, or even apps. 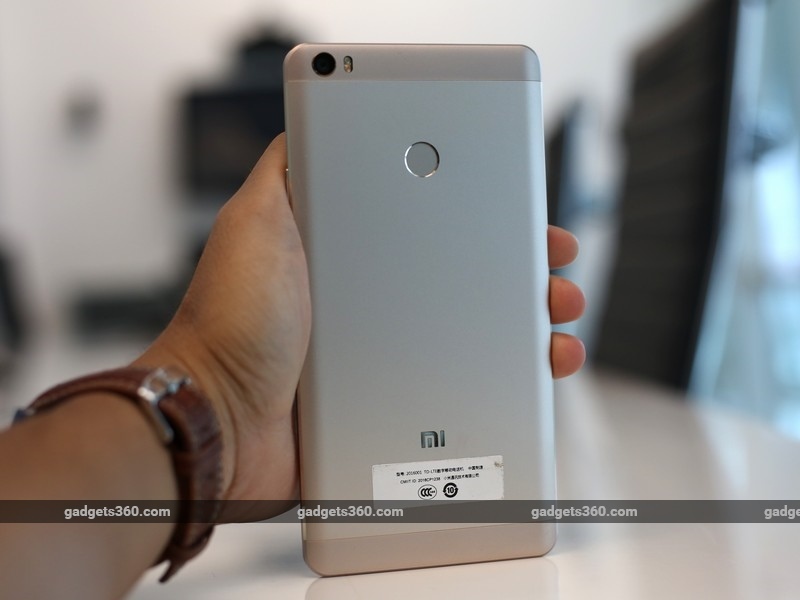 Given its feature set and specifications, the Mi Max can be considered a larger rendition of the Redmi Note 3 (Review), another very popular phone. 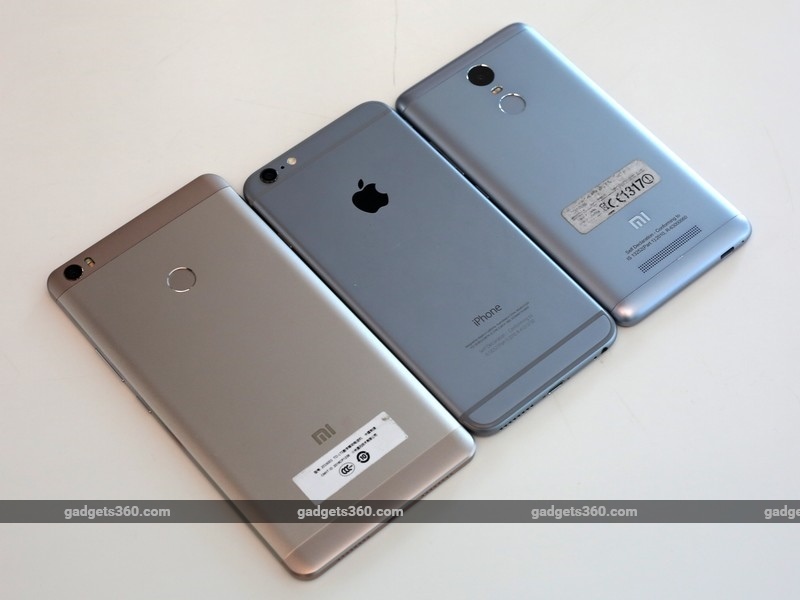 But has Xiaomi got the formula right with the Mi Max? We've spent nearly a week with the device and here's what we think. It's not rocket science to make a large-screened smartphone, but the ability to achieve a balance between size, weight, and ergonomics is what sets the good ones apart. The Mi Max features a 6.44-inch full-HD display with Gorilla Glass 3 and the company's proprietary Sunlight Display tech for better outdoor legibility. Make no mistake, this screen is massive, and the Mi Max manages to make even an iPhone 6 Plus (Review) look small in comparison. 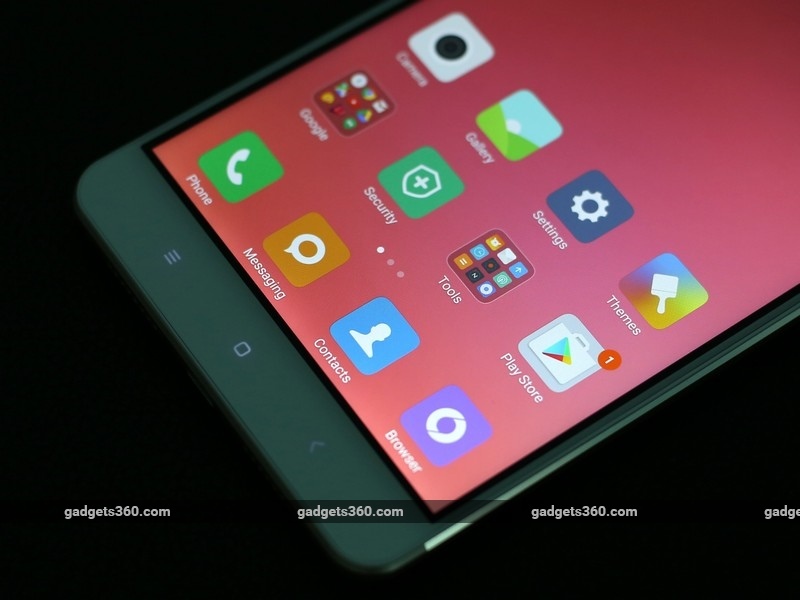 However, Xiaomi tries to make up for this by trimming the side bezels and space above and below the display, except for what's absolutely needed. The front glass is also slightly rounded, thereby avoiding any sharp edges. The Mi Max is fairly slim at 7.5mm and there are chamfered edges along the metal body. The volume and power buttons are placed on the right and work well, with good tactile feedback. The hybrid SIM tray sits on the left. 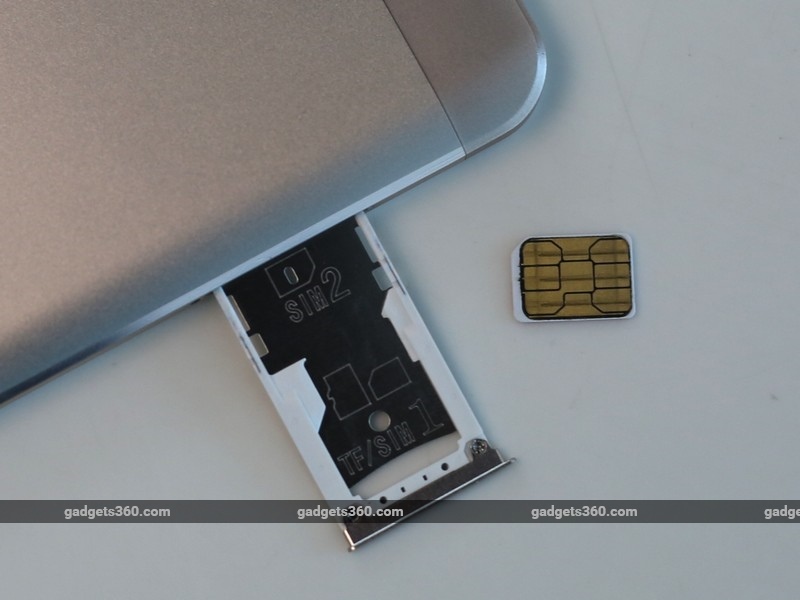 You can either have two SIM cards or one SIM and a microSD card (up to 128GB). The mono-speaker is placed at the bottom, along with the Micro-USB port, while the headphones socket and infrared emitter are on the top. The metal surface makes the phone quite slippery, so getting a rubber case wouldn't be a bad idea. Around back, we have the primary camera, dual-tone LED flash, and fingerprint sensor. The metal rim around the camera juts out a bit but we didn't encounter any major scuffing during our usage. The Mi Max is a heavy phone at 203 grams but honestly, it's hard to tell when you hold it. Single-handed use for typing is quite difficult as you have to juggle the phone around. It's not an easy phone to live with and even after a week, we found ourselves struggling to cope with its sheer size during daily commutes. It's also a task stuffing it in a pocket. Trousers are manageable but good luck trying to get it all the way into your jeans pocket. The Mi Max is sure to grab a lot of attention, not only because of its size but also because it looks premium and well-built. Our test unit came with a charger, cable, some instruction leaflets, and a SIM ejector tool. The Xiaomi Mi Max is powered by the tried and tested hexa-core Qualcomm Snapdragon 650 SoC, 3GB of RAM, and 32GB of storage. The company plans to launch a higher-end variant soon which will have an octa-core Snapdragon 652 SoC, 4GB of RAM and 128GB of storage. Other specifications include dual-band Wi-Fi b/g/n/ac, Bluetooth 4.1, GPS, USB OTG, 4G with VoLTE, and FM radio. NFC isn't present. 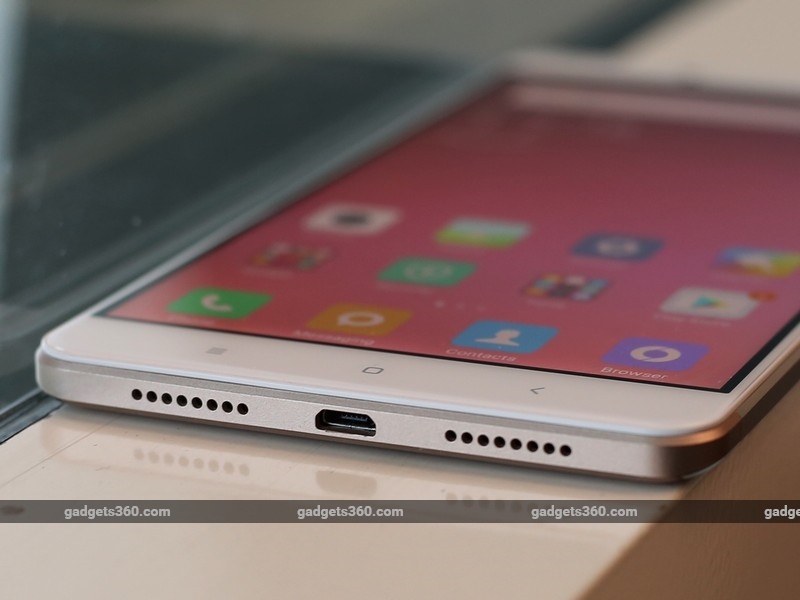 In terms of software, the Mi Max runs on a customised version of Android Marshmallow called MIUI 7 (tested on v7.5.3.0), which is similar to what we've seen before on the Mi 5 (Review). Some features of Marshmallow like Now on Tap aren't currently present but Xiaomi tells us that it is the works and will be added soon. In the coming months, the phone will also be upgradeable to MIUI 8. In order to make it easier to perform simple tasks like typing, the Mi Max comes with a 'One-handed mode' in the settings menu, which shrinks the contents of the display down to either 4.5-inches, 4-inches or 3.5-inches. You can perform this action by simply swiping left or right on the capacitive buttons for shrinking it down or resetting it back to normal. The screen shrinks down to either one of bottom corners of the display which makes everything more accessible, but it's still a bit of a balancing act due to the size and weight of the phone. Another feature called 'Shortcut menu' or 'Quick ball' lets you assign five shortcuts to either a function or an app to a floating onscreen ball, which can be accessed anywhere including the home screen. It looks similar to the iPhone's AssitiveTouch feature and can be placed anywhere along the edge of the display. You can prevent it from showing up in certain apps too if you wish. It's a handy feature, especially for going back a page or the homescreen as you don't have to worry about reaching the capacitive buttons. 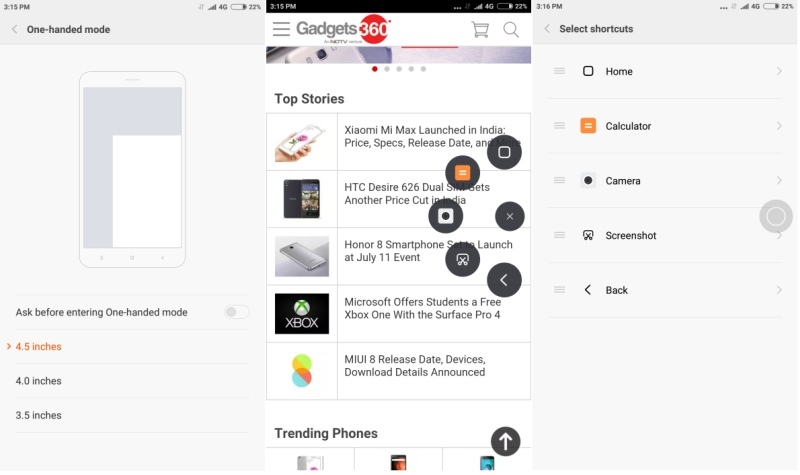 You get the standard fare of pre-installed apps like Security for checking data usage, cleaning up junk files, etc; Themes lets you choose from a rich selection of themes and wallpapers; Mi Remote lets you control infrared appliances in your home; and there's also Mi Store where you can buy more Xiaomi products. Third party apps include Facebook, WPS Office, SwiftKey, Flipkart, and Fleksy. Our test unit's software was pretty stable so we didn't face any noticeable glitches or bugs during our usage. The operating system works smoothly and so does multitasking. On any given day, you'll likely have about 800MB of free RAM available, which is a decent amount. We found the earpiece volume a bit lower than what we'd have liked, but clarity was good. The size of the phone does make it difficult to hold when on long calls. The Snapdragon 650 SoC offers plenty of grunt for most apps and games. As an indication of gaming performance, we got a healthy 32fps in GFXbench and 18,044 points in 3DMark Ice Storm Unlimited. Xiaomi bundles its own music player which does a good job at sorting your music. You even get some audio enhancements and equalizer presets. Audio quality is good through the headphones socket, but the mono speaker, while loud, doesn't provide the best experience. What's really missing though is a good set of stereo speakers, considering the Mi Max is designed for media consumption. The large display is great for watching video content, and this phone also handles 4K videos. Brightness levels are good although the colours need a bit of tweaking as they appear a bit too saturated by default. Coming to the cameras, we have a 16-megapixel sensor on the rear, which is capable of 4K video recording. The 5-megapixel camera in the front can record up to 720p video. The rear camera also gets phase detection autofocus (PDAF), which works well under most lighting conditions. Landscapes and macro shots captured in daylight exhibit good detail, but the app tends to over-sharpen objects in focus which causes slight jagged edges. This is more noticeable once you crop or zoom in to a photo. The front camera pulls off some decent selfies, provided the lighting is good. The quality of recorded video is good, even in low light. 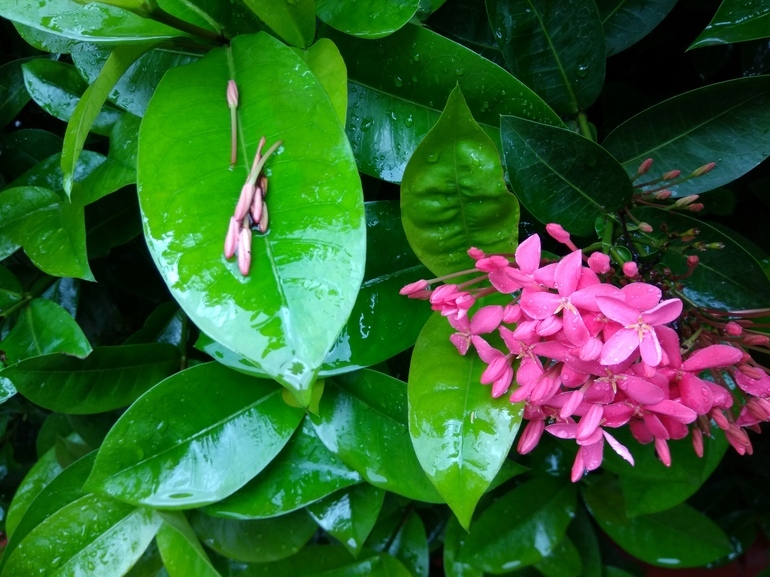 Slow-motion and time lapse video modes are also present. 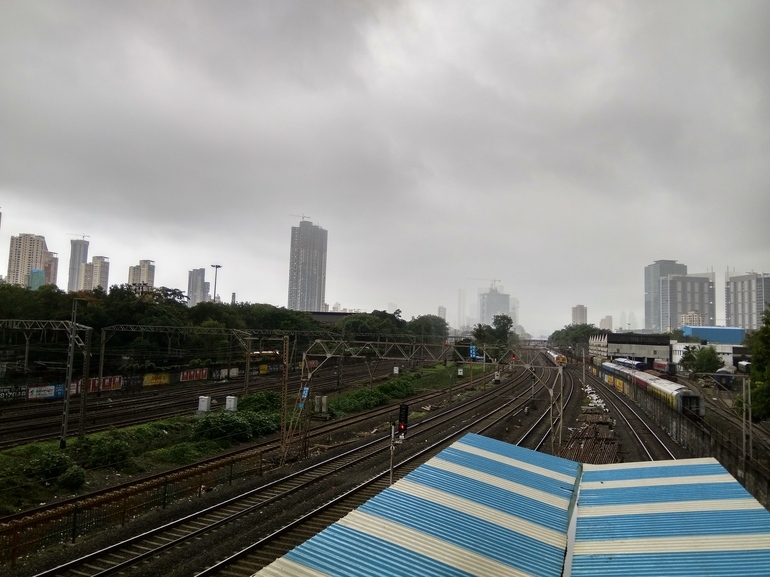 The camera app offers different shooting modes, including a Manual mode which lets you adjust shutter speed, ISO, white balance and focus. Focusing is quick with very little shutter lag. 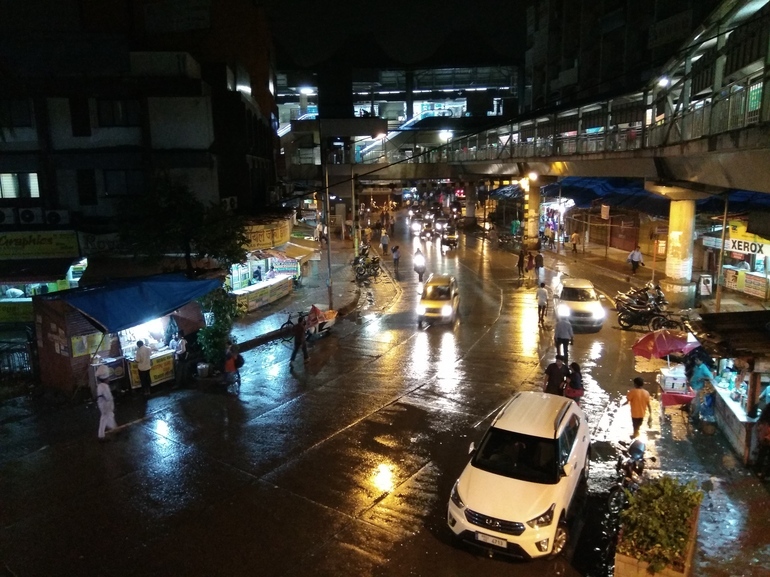 However, indoor and low-light shots are quite average, something we observed with the Redmi Note 3 too. The Mi Max is blessed with a large battery - 4850mAh to be precise - which easily lasts for nearly two days of active use. In our video loop test, we managed to go 21 hours and 11 minutes before the phone powered itself down, which is excellent. The Mi Max also ships with a 10W power adapter to speed up the charging process. It's safe to say that the Mi Max is yet another solid offering from Xiaomi, only this time, it's targeted at a rather niche market. There could be some demand for phones with enormous displays, and now buyers have a decent option. The Mi Max could potentially inject new life into this segment as it's a very good all-rounder. Its size is a subjective matter, as many people don't make a lot of voice calls, but do like watching movies and reading books. A device such as this could eliminate the need to use a separate phone and tablet, at home and also while traveling or commuting. The phone has very good build quality, a good display, excellent battery life and snappy performance. Camera quality isn't the best and we would really have liked stereo speakers on a device geared for media consumption. This isn't going to be the easiest device to live with for many people, but if you like the idea of tablet-sized smartphones, the Mi Max is currently the best option in its price class. product Xiaomi Mi Max battery life, performance, display, camera, price in India, score, and more, plus our YouTube video review.